Jackie Bradley Jr. – CF – SC. 0-5. 3K. Whit Merrfield – OF – SC. 1-5. RBI. Drafted by Kansas City – 9th. Bobby Haney – SS – SC. 2-5. K. Drafted by San Francisco – 22nd. Michael Price – RHP – SC. 2.2IP 1H 0ER 1BB 3K. (W, 5-1). 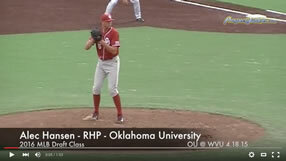 Rob Rasmussen – LHP – UCLA. 6IP 6H 0ER 4BB 5K. Drafted by Florida – 2nd. Dan Klein – RHP – UCLA. 3.1IP 1H 1ER 2BB 4K. (L, 6-1). Drafted by Baltimore – 3rd. Chris Ciovinazzo – OF – UCLA. 0-3. BB. Colorado – 21st. Erik Goeddel – RHP – UCLA. 1IP 2H 0ER 0BB 1K. Drafted by Mets – 24th. Brett Krill – OF – UCLA. 2-5. K. Drafted by San Francisco – 25th. Nick Gallego – SS – UCLA. 1-5. RBI. 2K. Drafted by Arizona – 27th. Blair Dunlap – OF – UCLA. 1-4. Drafted by Baltimore – 43rd.